This CEU and Material Showcase event will highlight the latest ceramic tile technologies and products to the New York design community. The evening includes a 1.5 hour CEU presentation and discussion, as well as networking and perusing a Tile of Spain company showcase with cocktails and tapas. Ryan Fasan, Tile of Spain Consultant and Ceramic Tile Specialist, will present Ceramics For Life: Consumer & Design Trends 2017. 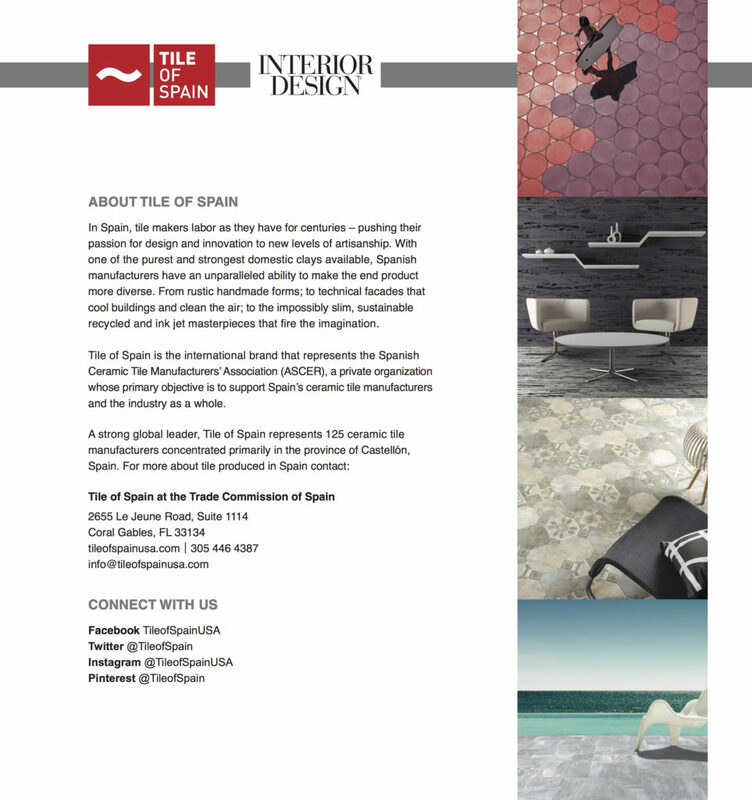 Visit the Tile of Spain Inspiration Gallery to see photos of the event.